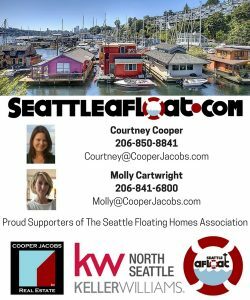 It is difficult to get your feet wet in the Seattle floating homes market for under $500,000. 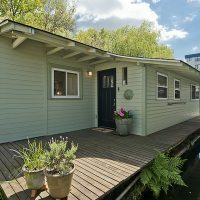 This is an opportunity to take a solid fixer floating home and make it shine. 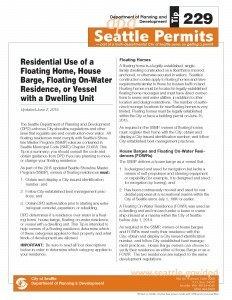 Seattle floating homes typically trade for around $900 a square foot with a variance of course for features such as a roof top deck, moorage, dock position, parking, pet policy, etc., but a good rule of thumb is $900/ sq ft which puts this one close to $550,000 minimum and likely closer to $625k fixed up because it does have great dock position. The only “Good Deal” is one you work for and you have to put the work in. We can find them for you. Imagine what you could do with this great room concept! 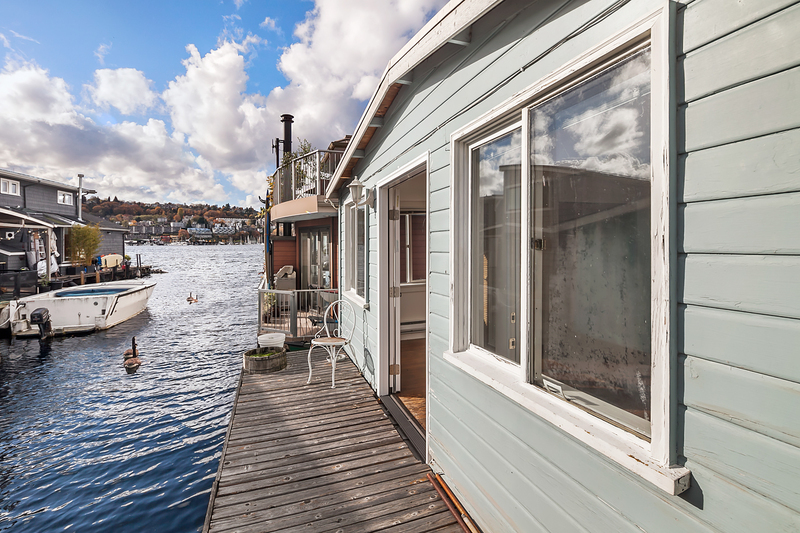 And imagine the Fourth Of July parties you could host in the heart of Lake Union! 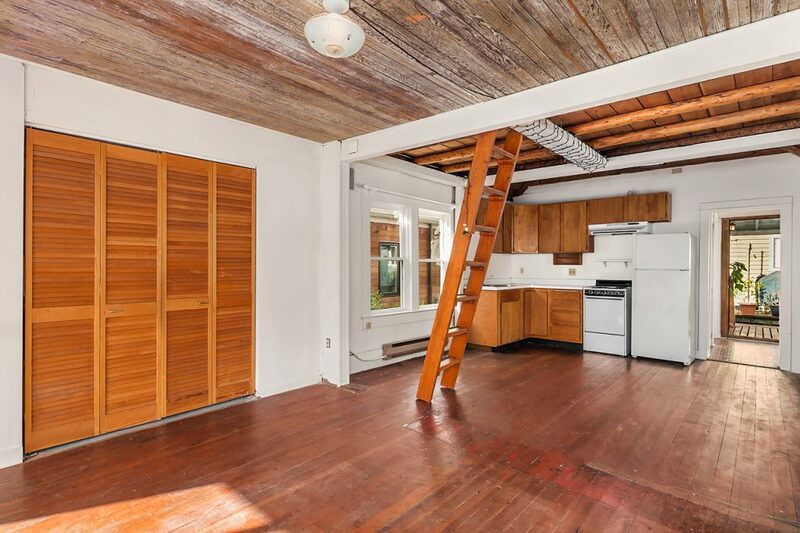 Buyers love the rustic look of the wood ceilings and it is easy to turn this historic classic into a modern oasis in the city because of the easy interior spaces already in place. 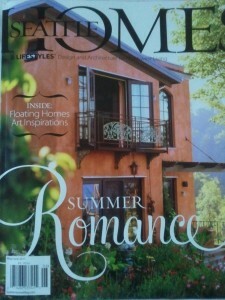 Add a slick modern color palette and the combination of historical meets modern is something that no one can resist. 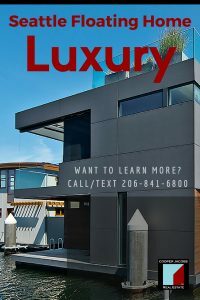 At 611 square feet and an open concept, the price and size combined with lifestyle beats the heck out of living in a Belltown or South Lake Union condo and you are waterfront. 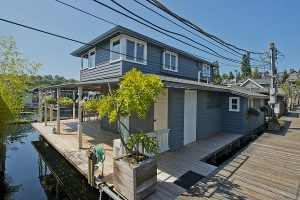 This is the most affordable in city living and the most affordable Seattle waterfront living. Come home form work and let your troubles fly away as you walk down the dock. 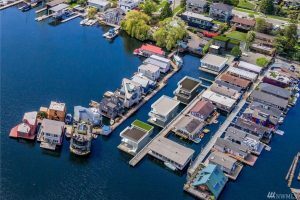 You can have all your water toys right there hanging on your house and you can kayak off your beautiful “back door” in the channel between houseboat rows. Forget trying to drag your canoe down to Lake Union Park and launching it. 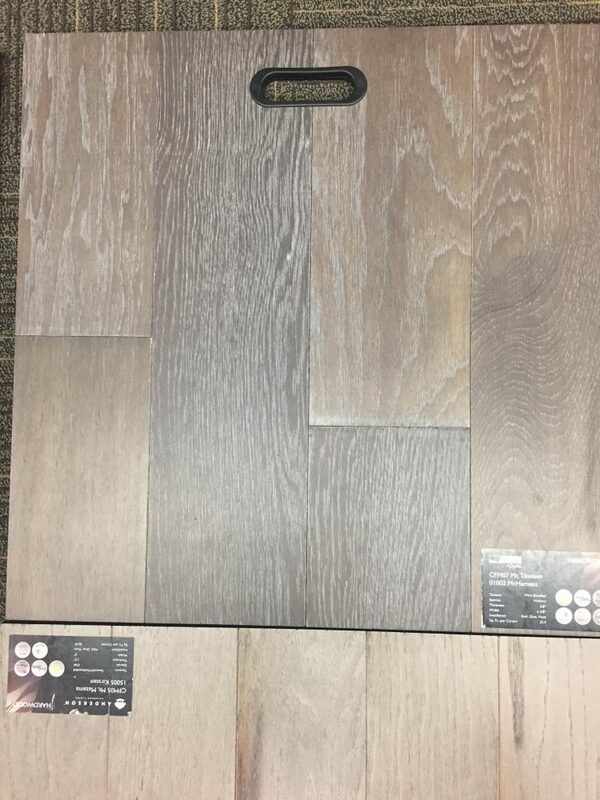 Have it at your feet anytime. 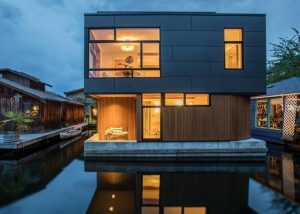 This particular floating home is on a coop dock. 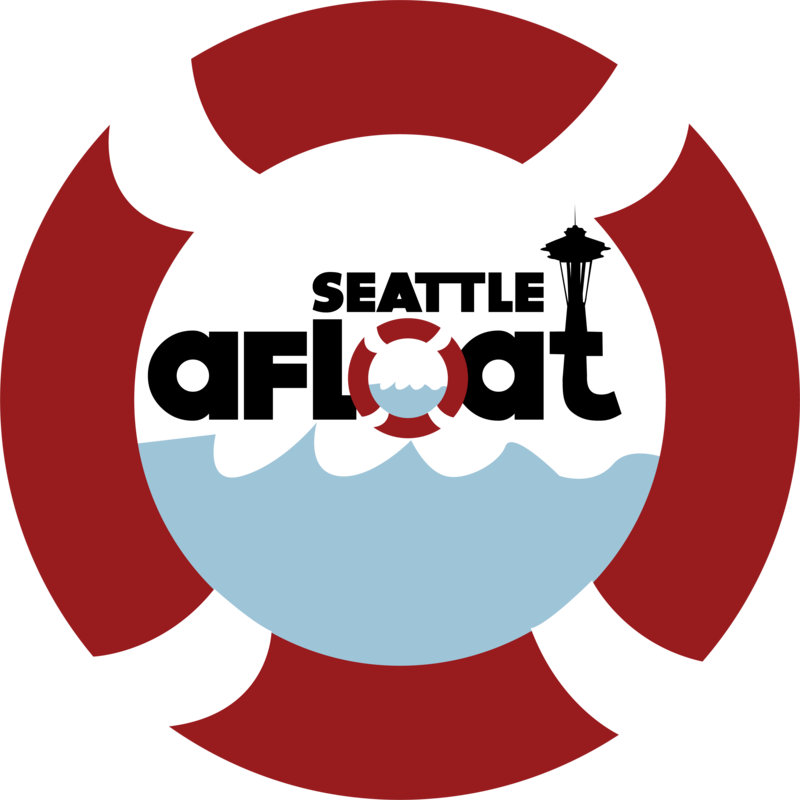 This is similar to a condo in that your slip ownership is more secure. You are not leasing the slip. You are buying a piece of history and have the opportunity to put your stamp on a blank canvas. 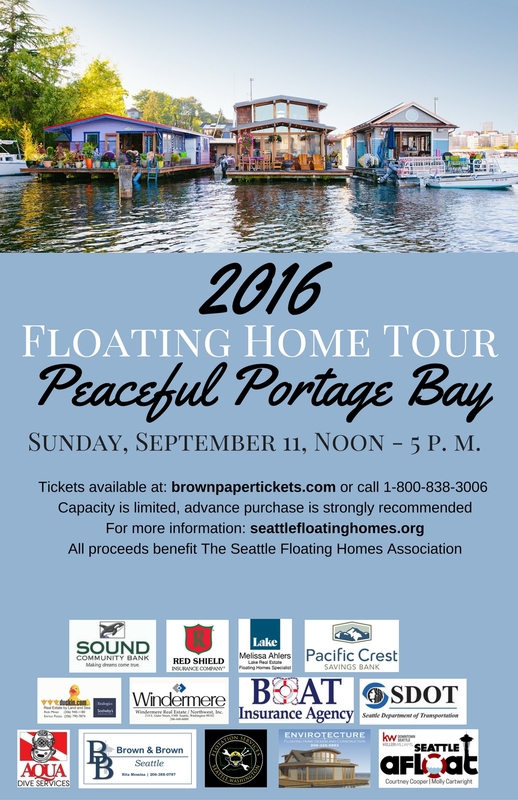 We are excited to help your Seattle Waterfront Living lifestyle dreams come true!